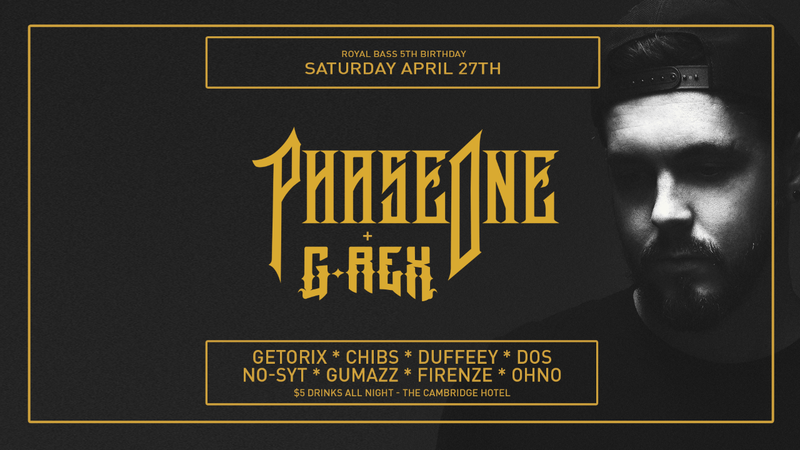 Saturday April 27th at The Cambridge Hotel. We're celebrating 5 years of unforgettable nights with 2 legends of the game. $5 tins of New & VB all night. © 2019 Ticketbooth on behalf of Royal Bass. All sales are final. Tickets are non-refundable.